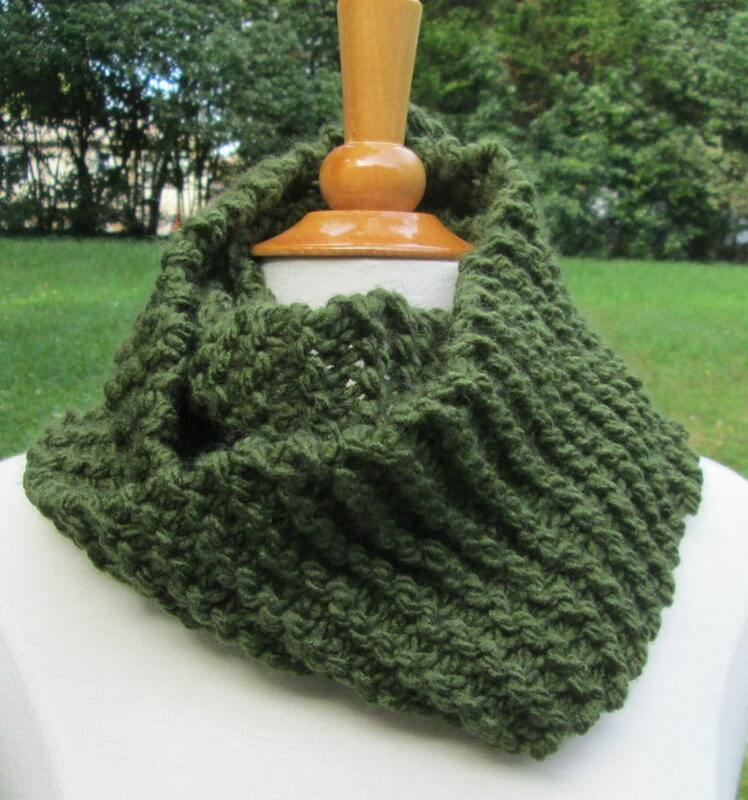 This scarf was knit using a dark forest green. Pullover style is designed with a twist so it can be gathered or lay flat against your throat. Long enough to loop a couple of times around your neck. 51" in circumference, 6" wide. Soft acrylic yarn is vegan friendly.